It has been one hundred years since Agatha Christie wrote her first novel and created the formidable Hercule Poirot. 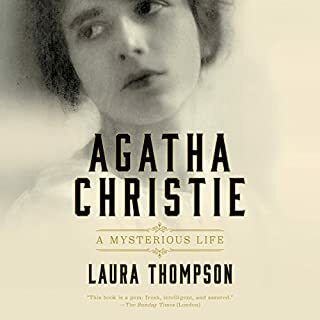 A brilliant and award-winning biographer, Laura Thompson now turns her sharp eye to Agatha Christie. Arguably the greatest crime writer in the world, Christie’s books still sell over four million copies each year - more than thirty years after her death - and it shows no signs of slowing. But who was the woman behind these mystifying, yet eternally pleasing, puzzlers? 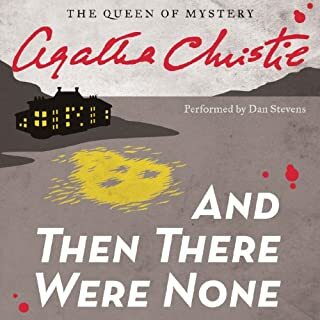 Back in print in an all-new edition is the engaging and illuminating chronicle of the life of the "Queen of Mystery". Fans of Hercule Poirot and Miss Marple and readers of John Curran’s fascinating biographies Agatha Christie’s Secret Notebooks and Murder in the Making will be spellbound by the compelling, authoritative account of one of the world’s most influential and fascinating novelists, told in her own words and inimitable style - and here in her own voice. These audio excerpts were dictated by Agatha Christie herself. 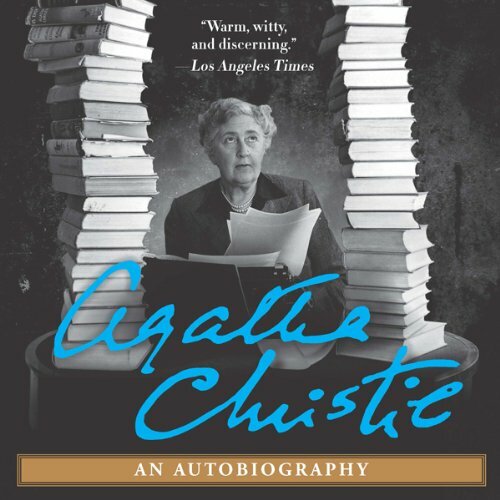 The New York Times Book Review called Christie’s autobiography a "joyful adventure," saying, "she brings the sense of wonder... to her extraordinary career." The author explains her process! This is not your typical autobiography. It's more of a history on when and why she wrote her different books and plays. The unique thing for this is she reads it herself. You can tell she is a very private person because there is little on her personal life in this story. It's really a textbook on how to write a book and how it worked for her. For anyone who is a fan of Mrs. Christie's this is a fun book. Miss Marple is NOT her grandmother although a lot of characteristics they share, including a second sense that something is going to happen. She also talks about her favorite books she's written: Absent in the Spring by Mary Westmacott (her pseudonym). That particular book she wrote the first chapter, than the last chapter and continued to write it in one day with no sleep. She than slept for 24 hours straight and the next day she read and made very few changes. She said she loved that experience but didn't know she could survive another one. This is a good short listen and well worth your time if you are an admirer of her work. 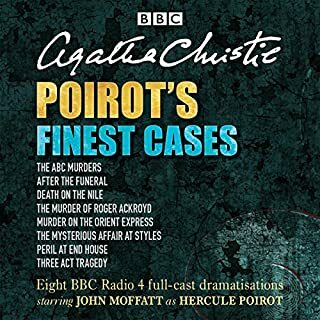 This recording was an authentic recording from Agatha Christie, and if you focus on that fact, you will enjoy her. 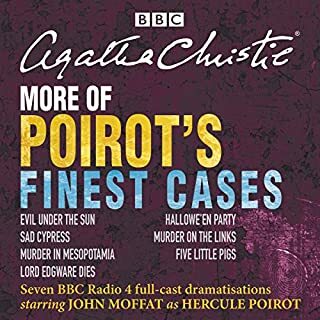 Yes, the hissing and bad recording are a bit annoying, so the quality and comfort are not polished, but knowing it was directly from Agatha Christie should count for something, without the editing and polishing. I enjoyed hearing from her in her own words though, so the performance from her was very valuable to me. Love Christie, but . . . Thank you, Audible, for providing this bit of oral history. However, unless you are a true fan, this may be a challenge. The recording is of poor quality. It scores points for authenticity because it was performed by the Queen of Mystery herself. But it's not an enjoyable listen, the story skips around, the sound quality is distracting, and it's a struggle to follow. As a writer I found this to be quite fascinating; however, I would like to have been able to hear it clearly. I couldn't make it all the way through but I appreciate that it was free; just a heads-up to potential downloaders. The audio was very scratchy. It was hard to understand. Would you ever listen to anything by Agatha Christie again? Would you be willing to try another one of Agatha Christie’s performances? Disappointment that is was hard to hear well. This is brilliant! I read Christie's autobiography 30 years ago when I was young and it made a profound impact on me. Not only did she live in one of the most dynamic periods of history (1890-1970s), but her insights into life and the production of her books was enlightening. I have been meaning to reread it, but, of course, I don't have time to read a book with my eyes. 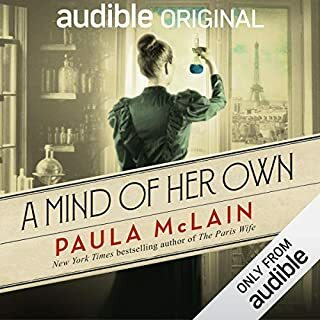 I understand that 16 or 17 hours of recording were found just a few years ago and I hope Audible elects to release them all. As it is, this recording seems to be a pretty good selection, offering insight into many of her inspirations. Was very hard to under stand as the sound quality was awful. She is also difficult to understand but glad I listened. LOVE EVERYTHING SHE HAS WRITTEN WOW! My favorite of all time is ........oh goodness way too many to list.!!!!!!! What would have made Agatha Christie: An Autobiography better? Could hardly make out what she was saying. It was badly recorded and hard to listen to at high volumes. 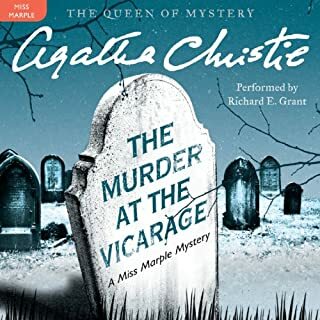 I very much enjoyed hearing Agatha Christie's voice. I've read both Come, Tell Me How You Live, and her written Autobiography, so this audio autobiography is a satisfying addition to the others. The sound quality of this piece isn't up to the level we expect today, but being a vintage recording, I found that the non-recording studio quality allowed me to imagine her sitting in a drawing room for the interview. I would recommend this selection to anyone who has an interest in the life of Agatha Christie.